Combine half of the halved strawberries, the sugar, and the water in a saucepan, and turn the heat up to medium. Bring the mixture to a boil and then let simmer, stirring occasionally, for 10 minutes or until the strawberries seem like they’re about to fall apart. Let cool for a few minutes, and then, using a mesh sieve, strain the strawberry goodness into a bowl. 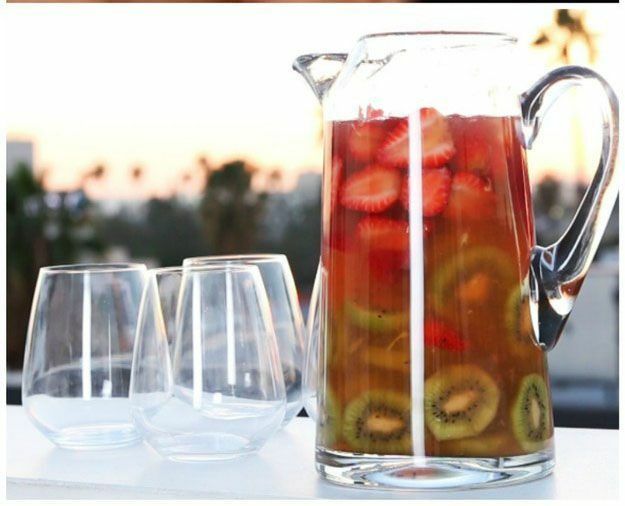 Use a spoon to press the strawberries up against the mesh so you get every last beautiful drop of strawberry syrup. Place the syrup in the refrigerator to cool a bit. 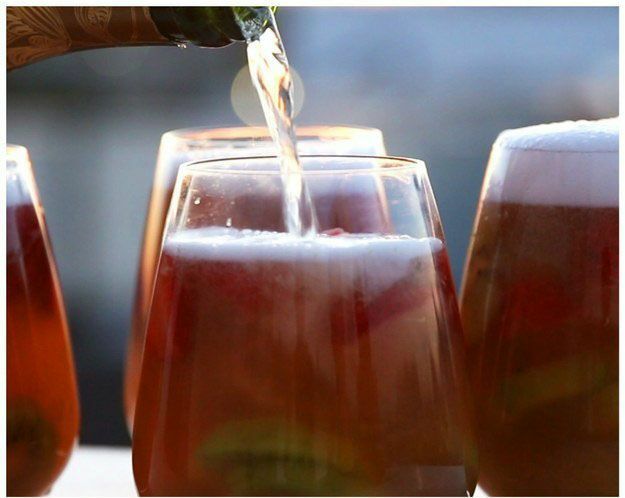 When you’re ready to serve, add around three-quarters of the chilled sparkling wine to the pitcher. 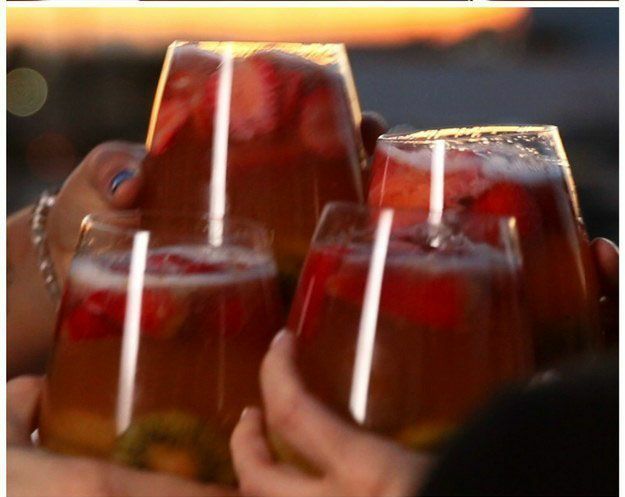 Pour into glasses and spoon in fruit, topping off each glass with a bit of the remaining champagne so it’s nice and bubbly when you hand the glass to a friend.